This paper examines state repression and state-society conflict in Burma through the lens of rural and urban resistance strategies. 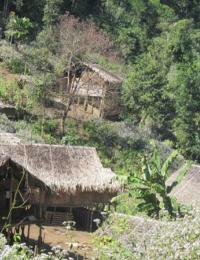 The report describes the displacement of the villagers and their strategies of responding the opress of the government military in Karen State in 2008. The Karen Human Rights Group is an independent human rights monitoring and reporting group based in Karen-held areas of Burma. It gathers and reports testimony and information directly from villagers regarding the human rights situation.